Boiler problems are never fun but they can come up at any time. If you have a boiler that’s not working or pipes that leak or are noisy, then it’s time to call in the help of an expert. In today’s blog, we’ll give you an overview on what can go wrong with your boiler and how it can be fixed. Learn more, below. 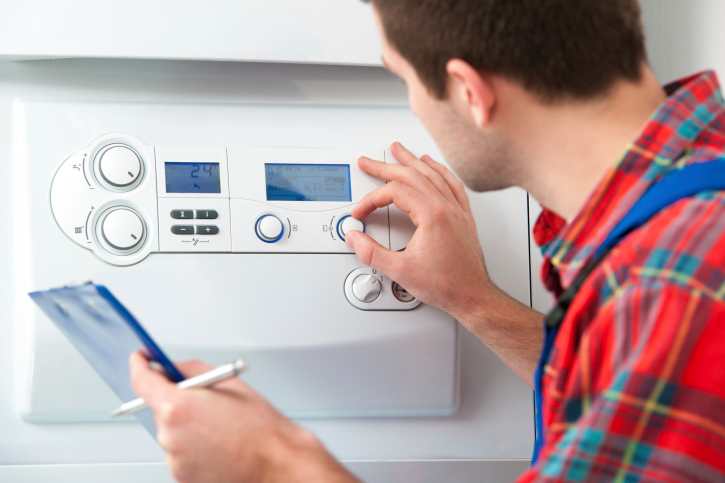 Boiler repair should only be completed by a skilled plumber. There are many things that can go wrong with your boiler and specific problems will depend on the make and model of your system. Because there are so many possibilities of what the problem could be, it’s impossible to diagnose the issue without the help of an experienced plumber. What kind of maintenance do boilers require? The best way to avoid boiler problems is by scheduling routine preventative maintenance. Maintenance will not only prevent larger problems down the road but will also ensure that your boiler performs efficiently and offers peak performance. Why should I hire a professional for boiler repair? Boilers are complex systems that require expertise to fix. A professional will be able to ensure that your boiler is not only fixed but is equipped to operate at its peak performance. If you attempt to repair your boiler yourself, you run the risk of making the damage worse and voiding the manufacturer’s warranty. For over 30 years, Master Plumbing & Mechanical has served the Washington, D.C. area, including Silver Spring, Montgomery and Prince George’s county. We’ve built our reputation on recommendations from our satisfied customers. This entry was posted on Thursday, December 31st, 2015 at 6:51 pm. Both comments and pings are currently closed.